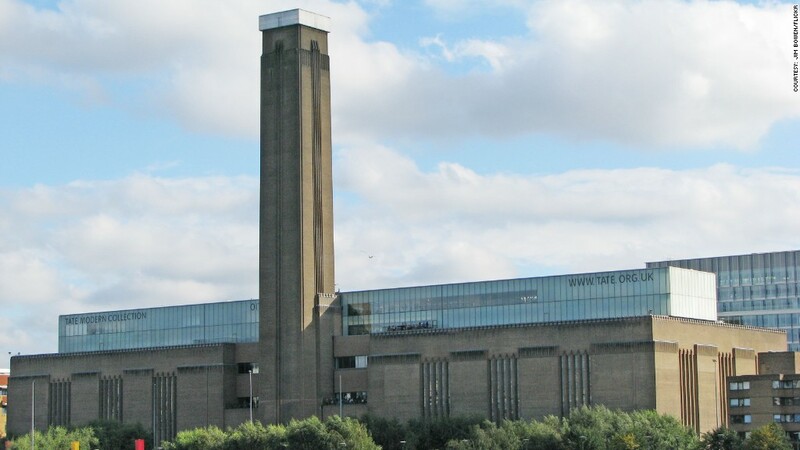 London's famed modern art museum is housed in a former oil-fired power plant on the banks of the River Thames. Built in two stages between 1947 and 1963, the power plant featured a massive turbine hall over 100 feet high and nearly 500 feet long -- as well as a towering smoke stack in the center. The building was nearly dormant from 1981 until work on the museum began in the late 1990s. The turbine hall was transformed into a grand entrance and display area -- its vastness often showcasing large pieces of art "to jaw-dropping effect," as Time Out London put it. The boiler rooms became the galleries. It opened in 2000, and is now one of the top three tourist attractions in the U.K.